The Financial Reporting Council issued amendments (27th July 2015) to the UK accounting standards, ushering in a new financial reporting framework for small and micro-entities. The changes are mainly as a result of the new EU Accounting Directive. The changes come into effect from 1st January 2016. This is a big change, are you ready for it? There are approximately 1.56 million micro-entities in the UK, as compared with a total number of companies on the UK register of approximately 2.8 million. Most property businesses will have less than 10 employees and less than £632,000 turnover. If you are a property investor filing Abbreviated or Full Accounts you have to report property values at their fair value, which means you tell everyone what you think the property is worth. You may not want to do that, especially if you are planning to sell as it tells the potential buyer what you think its worth and that might be an issue in negotiations. Under the Micro Entity regime you aren’t allowed to use fair value and have to use Historical Cost. Which most Property Investors will prefer. No notes are required with Micro Entity Accounts and any advances or financial commitments are shown at the foot of the Balance Sheet, often this is simply the value of the Mortgage outstanding. 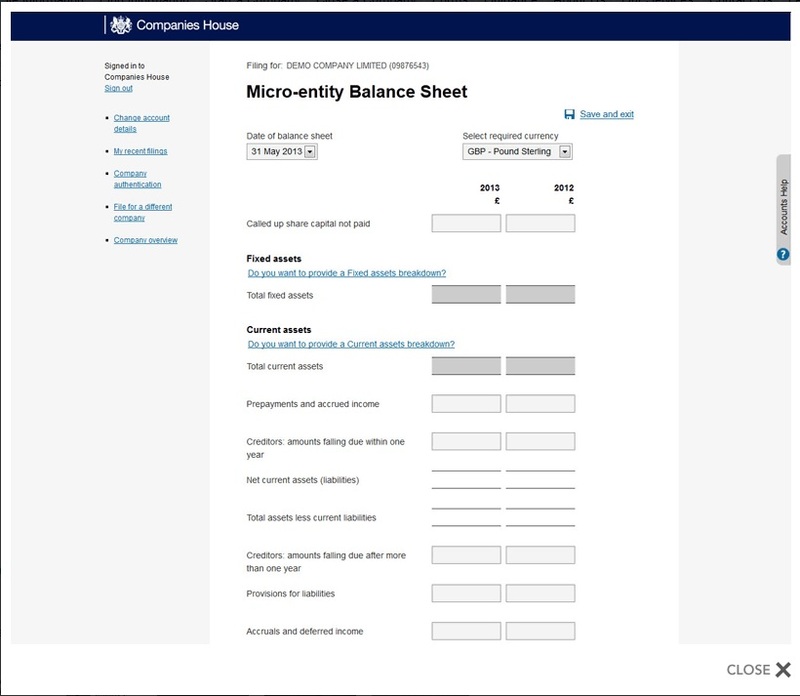 Micro-entity accounts are a new type of accounts that can be submitted to Companies House from 1 December 2013. They will provide the smallest companies with the opportunity to prepare and publish simplified financial statements (profit & loss account; and balance sheet) if they wish. Micro Entities are exempt from filing their profit and loss with Companies House.